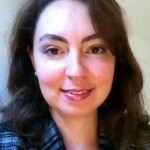 Antonia Colibasanu is a geopolitical risk analyst. Currently she is Stratfor's regional partner for Europe as well as Honorary Adviser to Romania’s Minister of Energy. She also works closely with the bestselling authors George Friedman and Robert D. Kaplan. A supporter for educational activities, she's also taking any opportunity to discuss with students and fellow researchers. She enjoys sharing her knowledge and experience as an associate professor at the Romanian National Intelligence Academy and as a guest lecturer at the University of Bucharest. She frequently speaks on international economics and security topics at conferences and events in Europe, and since 2012, she has served on the educational board of the International Academy of Advanced Studies in Greece. Prior to joining Stratfor in 2006, Dr. Colibasanu held a variety of roles with the World Trade Center Association in Bucharest. With a background in academia both in Europe and the US, she holds a doctorate in international business and economics from Bucharest's Academy of Economic Studies, where her thesis focused on country risk analysis and investment decision-making processes within transnational companies. She also holds a master's degree in international project management. She is an alumna of the International Institute on Politics and Economics, Georgetown University.